The blurry images of the alleged Galaxy Note 8 S Pen could very well show Note 7's S Pen from last year - we can't really tell. At the beginning of the month, we saw some concept renders for the upcoming Samsung Galaxy Note 8 that seemed in line with pretty much all rumours about the device so far. The images also revealed the S Pen that will supposedly come in the Note 8 bundle and, even though there weren’t any close up takes on it, it didn’t appear to be visibly different from the one that came with the flammable Note 7. Some new leaked images, allegedly of the Note 8 S Pen, have surfaced today to provide a closer look at the device, but it’s safe to say that they don’t give us much more detail beyond the renders from earlier this month. 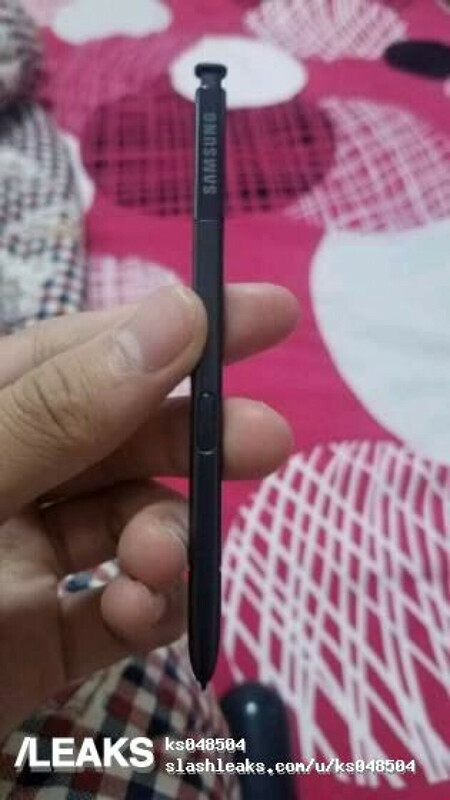 The pics show a thin, black S Pen that seems virtually the same as the one that came with the Note 7. It’s difficult to make a concrete judgment as to whether the images show a new version of the pen or an old one, given that the pictures are quite blurry. 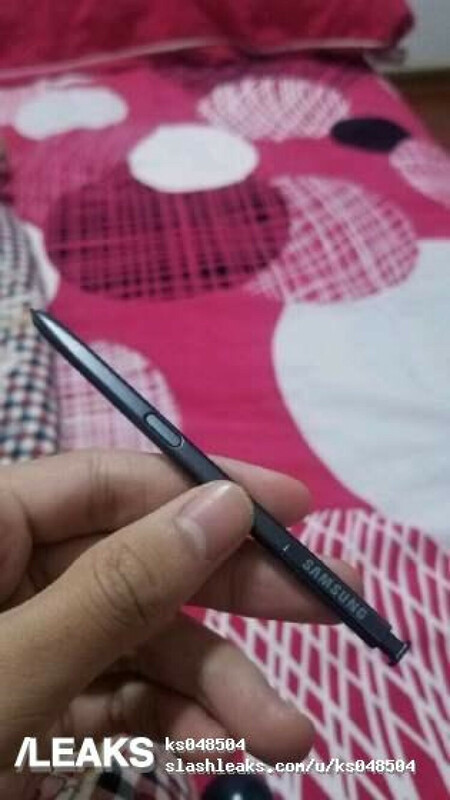 We can neither prove that this is the Note 8 S Pen, neither disprove it. However, a Twitter post by a tipster, published not long after the release of the leaked images, confirmed what is, in all fairness, already kind of obvious from the leaks alone. In any case, we seem set to find out more sooner than later, as Samsung is very likely to unveil both the Galaxy Note 8 and the accompanying S Pen in NYC on August 23rd. Will it get stuck if you put it backwards? This image doesn't really prove it's the Note 8 S-Pen. Looks alike with the Note7's. Why would you post this clickbait article? It looks identical as the Note7 S-Pen and the tipster said it is because it clearly *is* the Note7 S-Pen. Because it's PhoneArena, why else? "the flammable Note 7. " So this idiot writer can say that. Careful how you address such authors, you just might hurt their precious little muffin feelings. LOLeak :p This is the S-Pen of Note 7. 8-23-17 is the date. Bring on the king. Darkkmite is fangasming hard here.